Woodward, Pires & Lombardo, P.A. 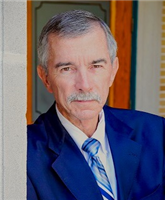 Jeffrey R. Garvin is a Board Certified Civil Trial Lawyer who has litigated catastrophic injury and death cases throughout the country for over 30 years.... Read More. Personal Injury Litigation - Plaintiffs, Mass Tort Litigation / Class Actions - Plaintiffs, Car Accidents (Personal Injury), Product Liability Litigation - Plaintiffs, Auto Accident, Catastrophic Injury, Birth Trauma, Cerebral Palsy, Boating Accidents, Brain Injury... See More.